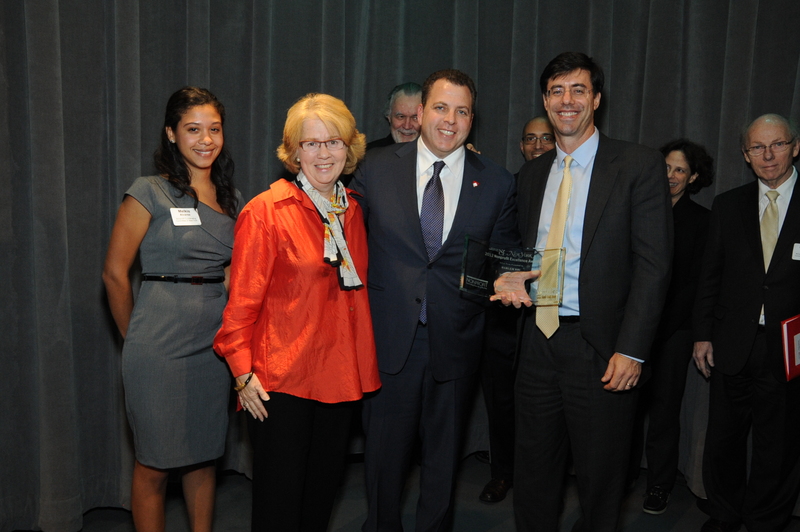 Harlem RBI honored with Nonprofit Excellence Award | HarlemGal Inc. The winners of the 2012 New York Community Trust/New York Magazine Nonprofit Excellence Awards were announced yesterday, November 15th, in New York City and a Harlem organization received one of the three top honors. 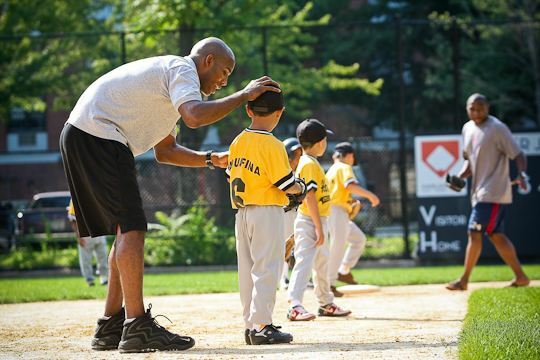 Harlem RBI, which uses the power of teams to coach, teach and inspire inner-city youth to recognize their potential and realize their dreams, received the Silver Prize Award. Richard Berlin, Executive Director and Kenneth Rosh, Board Chairman-shown in the photo below-accepted the award and a $10,000 prize. Harlem RBI won the Prize for Excellent Communications in 2008 and has now been recognized for its outstanding management practices. The Gold Prize Award went to Red Hook Initiative in Brooklyn and the Bronze Prize Award went to Open Door Family Medical Center in Ossining, NY. Each winner also received scholarships towards tuition at Programs in Social Enterprise in Executive Education at Columbia Business School, valued at a total of $18,000. The Nonprofit Excellence Awards honor outstanding management practices and encourage innovation and communications among New York’s diverse nonprofit community. A Selection Committee of 28 nonprofit experts choose these three organizations from an original group of 50 applicants. Congrats to Harlem RBI! Way to go! This entry was posted in Community, education, Harlem, health and wellness, kids and tagged awards, Citi, columbia business school, Entertainment, Ford Foundation, Harlem RBI, inner city youth, McGladrey LLP, New York Community Trust, New York Magazine, New York Media, Nonprofit Excellence Awards, nonprofit experts, nonprofits, ossining ny, The Clark Foundation, the Fund for the City of New York and the Programs in Social Enterprise in Executive Education at Columbia Business School, The New York Community Trust, WNYC. Bookmark the permalink.